Learn the differences between Studio, Visualize, Broadcast, and Prime versions of Cinema 4D. BodyPaint 3D and Cinema 4D Lite are also included on the comparison chart. Cinema 4D is the professional 3D package for your needs. If you want to create advanced 3D graphics and need a helping hand to ensure you create jaw-dropping graphics quickly and easily, then Cinema 4D is the choice for you. It comes in four different flavors for everyone's taste. Cinema 4D Release 20 marks a huge leap in technology, introducing massive new frameworks that put tremendous power in your creative hands. The possibilities are endless, your creativity is unleashed - it’s time to jump in the deep end. From simple references to complex shaders, you can build extraordinary materials in a node-based overview. Complex effects created via nodes can be wrapped as assets and delivered as simple materials, with just the necessary parameters exposed. 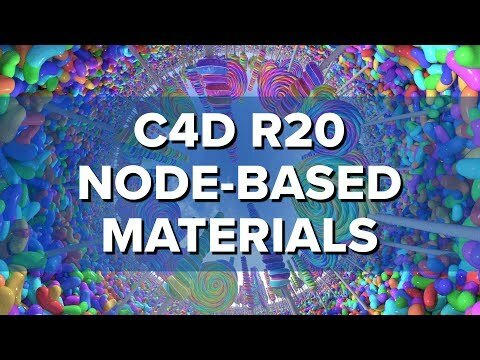 Release 20’s node-based materials have the power to change the way you work, whether you directly create amazing shaders through nodes or simply make use of assets shared by those who do. Use more than just simple shapes to control effectors, deformers, weights and more. Fields will revolutionize the MoGraph feature set, making it easy to create complex effects by combining falloffs. You’ll never use Cinema 4D the same way again. Say goodbye to conversion woes - most popular CAD formats can be imported with a simple drag-and-drop. 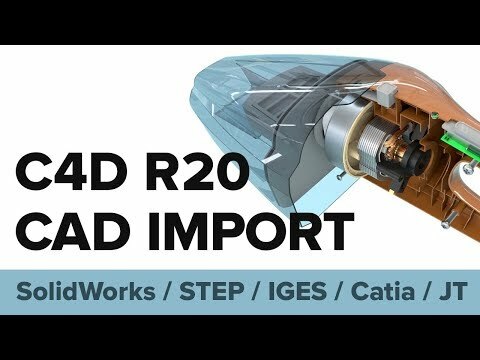 Get the models you need, with the quality you want thanks to the robust and flexible import of STEP, Solidworks, JT, Catia and IGES files. The next generation of native GPU rendering is here - and it’s packed with production-level features to help you get the job done. 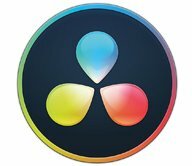 Render sub-surface scattering, motion blur and multi-passes on your super-charged Nvidia PC or your state-of-the-art iMac. Integrating 3D elements with 2D footage has never been easier thanks to some great workflow improvements to Motion Tracking in Cinema 4D Release 20. The Motion Tracking toolset has consistently matured since it was introduced in Release 16, supporting camera and object tracking, distortion correction and scene reconstruction. Release 20 focuses on refining the overall workflow, making these fantastic features even easier to use. TRACK VIEW - The Track View magnifies and focuses on a specific 2D track so you can easily monitor and tweak its position. With the Tracker View, you can see the luminance values used internally to track the footage, making it easy to adjust the color filter for the best contrast and automatic tracking. INTUITIVE LAYOUT - The entire Motion Tracker layout has been redesigned around the new Track View window and provides an ideal workflow with easy access to key managers and commands. ENHANCED 2D TRACK LIST - It’s easy to manage user tracks in a new list view. You can easily rename, reorder and organize tracks into folders, as well as adjust key parameters like the track size and shape directly in the list. VIRTUAL KEYFRAMES - Placing keyframes dramatically improves the automatic tracking of manual features, but it’s tedious. The new Virtual Keyframes option automatically adds virtual keyframes based on the error threshold or frame interval. Cinema 4D’s MoGraph tools make it easy to create lots of objects and the new Multi-Instances feature makes it easier to manage them. With Multi-Instances, your cloned objects are handled more efficiently and you get drastically better performance in the viewport. Speed things up even more by simplifying the display of each clone to its bounding box, matrix box or axis point. Multi-Instances do support MoGraph Color - even in the viewport! ADDITIVE MULTI-PASSES - With new purely-additive passes in Cinema 4D’s Standard and Physical Render, you can easily composite the direct and indirect lighting to match the beauty render. This makes it easy to apply denoising on the indirect lighting without losing texture and shadow detail. TEXTURE GIZMO - Placing textures in Cinema 4D has never been easier! Simply switch into the Texture Mode (flipping the axis mode isn’t necessary anymore) and choose from three display modes in each Texture tag - a simple display of the projection axes, the classic grid, or a new UV pattern display. SCRIPTING AND PLUG-IN ENHANCEMENTS - As part of the transition to a more modern Cinema 4D core, there are lots of API changes with Release 20. Unfortunately, that requires third-party developers to adapt and recompile their plug-ins but it comes with more power and sets the stage for things to come. There’s also an all-new Console that makes it much easier to debug and develop scripts, and a standalone Python interpreter to support auto-complete and debugging in popular code editors. MODELING CORE ENHANCEMENTS - Thanks to ongoing efforts to enhance the modeling core, you’ll see improved interpolation of UVs, Vertex Maps and SDS Weights when using the Extrude, Extrude Inner and Matrix Extrude tools. There are new, improved default UV maps for the Pyramid and Platonic objects. Plus, the Structure Window now automatically switches to match the active component mode and points are now optionally deleted at the same time as their related polygons. A new API allows 3rd-party developers to create custom Data tags, which store surface attributes and can also provide interpolations functions. Volume objects can be imported and exported from and to the industry standard .vdb file format. Volume Mesh command: Remeshes and combines polygon objects using a volume-based approach. 2D Noises: users now can use all 2D noises except 'sparse convolution' in the legacy base shader. New Seed setting: users can now specify a seed that is used for rendering. Compiling kernels on demand, shaders that introduce a big chunk of GPU kernel code will not be included in the initial kernel compilation. The kernel compilation is triggered when such a shader is added. Scenes are now cached when animations are rendered to the Picture Viewer. Enables users to replace the context of many Nodes, e.g., to change the UV mapping for this node. Node ports are color coded to make it easy to differentiate between different types of ports. Users can use different techniques to navigate the Node View, including touch gestures. Group bars on the left and right sides of the Node View can be used to propagate the ports to the outside of the group. New Open File in Manager behavior - a new command and Show in Attribute Manager now displays the attributes of the bitmap shader / Image Node. Open Material in Manager is now exposed as a command. Texture mode now works as the former Texture Axis mode. Texture Axis mode isn't available anymore. Blending tab: here are the Blending options that are also found in the Field Layer interface. Remapping tab: this tab holds the integrated remapping parameters of the Field value. Show dope sheet style data representation for selected track in the Graph Mode of Graph View. Pop up context menu with relevant controls. A quad buffered graphics card is required to use NVIDIA's 3D Vision Shutter glasses for viewing the stereoscopic display in Cinema 4D. An overview of graphics cards that meet all requirements can be found here. This review is for Cinema 4D R19 only. I’ve been a Cinema 4D user for over a 15 years. I started with R6 so I know a little bit about what I am talking about. All I have to say is that Maxon has dropped the ball. The R19 offers a few upgrades but nothing life changing. 3rd party work arounds for all these upgrades have been around for years so there is nothing really new. The only thing that made the R19 upgrade seem valuable was the new ProRender. This had possibilities. I have been using RedShift for years but a native render is just what I was looking for. Unfortunately it’s garbage! Also, there is no GPU support for mac. I contacted Maxon support to make sure I was running the best hardware to use their render and Maxon support was beyond useless. I begged for the littlest bit of information and they refused to give it. All I wanted to know was what graphics card they tested the software on and they refused to tell me that. More bad news. R19 is incredibly unstable. Maxon used to be one of the most stable platforms for 3D work. With the R19 upgrade it has become the most unstable application on my system. Constant crashes, sometimes so severe it reboots my computer. Cinema 4D has never been able to close completely, forcing me to force quit every time. Honestly I’m so disappointed with what Maxon has become. A completely unstable platform with horrible customer service. I would recomend anyone new to 3d design to start with any other 3d platform, Lightwave, Maya or 3DS Max. If you decide to still go with Cinema 4D. . . good luck. Richard, my sincerest apologies that you were not satisfied with the answers our tech team and VP (head of tech) provided. They did invest a lot of time trying to help you, but there is just so much we can offer with older hardware and custom configurations. As a general policy we do not test or recommend specific hardware but strive to ensure the software works great on any hardware. It’s true that ProRender isn’t supported with Nvidia cards on Mac due to driver and OS-level limitations. ProRender uses Nvidia and AMD graphics cards on Windows systems and AMD graphics chips on Macintosh. On Mac, it’s tested using the graphics cards in currently-shipping Apple devices, and soon-to-ship devices. We don’t test external GPUs or custom GPUs, as they’re not common, current or supported configurations. We just simply cannot make recommendations for custom configurations on older machines we have not directly tested. There are just too many variables and they are not even supported by Apple. I’m sorry you found that response useless, but there is no way we can guarantee the performance will be to your liking or even work reliably. If you’re experiencing stability issues, please use Cinema 4D’s built-in crash reporting to submit a crash log. We did a search through the logs and cannot find any crash logs submitted by you. Based on the logs we can see exactly where in the code the crash occurred and advise you on a solution. The type of crash you are describing is not at all typical. The more info we have the better we can serve you. We take tremendous pride in our customer service and gladly welcome comparisons to any other platform. Our tech support team is locally staffed (So Cal) with live human beings knowledgeable about the product. Tougher issues are quickly escalated directly to the VP or myself. I appreciate that you took time to respond, although it feels like a PR move instead of an attempt to change my mind about the R19 upgrade and lackluster tech support. I would have been more impressed if you contacted me directly. You have my email from my numerous support requests. I know Maxon has my number from all the sales calls I get when there is an upgrade to buy. My frustration stems from my “older” system meeting Maxon’s stated requirements except for the graphics card. I eagerly set about upgrading my graphics card to meet the ideal specs for R19 and that’s why I contacted your support team. I don’t think the majority of the customers upgrading to R19 are upgrading recently acquired currently-shipping or soon-to-ship devices. I would wager most of your customers are guys like me, loyal to the brand for many, many years, upgrading along the way with a variety of systems that suit the variety of projects we’ve worked on over the years. I’m going to date myself, but I started with R6, dutifully upgrading along the way, and I have never been inspired to leave a review until now. My review still stands. I’m disappointed with the performance of R19, disappointed with Maxon tech support and now disappointed with this PR response. I’d like to point out the rave reviews below. They are 5 star ratings from April 4th, 6th, 9th, 11th and 13th of 2012, all of which predate R19 by years. 2012 was R15 which great and rightly deserves 5 stars. I’m a very loyal customer who has been let down. A fantastic product. Though it is extremely deep and complex it is fairly easy to get started with and learn as you go. Lots of online tutorials to learn from on YouTube, etc. Great integration with After Effects. Cinema 4D is the tool to use if you need good results pretty fast. This powerfull 3D package is becoming more and more the secret weapon among post houses and studios all over the world. If you want power combined with ease of use this is the 3D package for you. Geared toward motion designers. Insanely good support. When making the leap from 2.5D compositing and animation (using After Effects) to a 3D app, I found that all the designers I follow use Cinema 4D. After taking a few courses through FXPHD.com, I fell in love with the package and never looked back. As of R13, integration between C4D and AE has become an exceptionally strong feature, making the process of working in my most familiar environment (AE) in order to help me work through my 3D projects effortless. Aside from the really fun Dynamics and Mograph features, probably the best selling point of the software is the team that supports it. Every interaction I've had with Maxon has been a positive one-- it's clear they really love their users, and they've helped make my transition into the 3D world a much easier one than I imagined. Maxon does the opposite. When a feature is engaged, it remains in the same location. and on the rare occasion something moves, users can create shortcuts to mitigate it or rearrange the interface to their liking, which is absolutely fantastic. Users don't have to slow production down to pick up a new edition of C4D. Maxon's implementations are well thought out and wonderfully implemented. Improvements are seamless and easy to use. Like a good wine, C4D keeps getting better with age. Read the full review for Maxon Cinema 4D R12 by Mark Bremmer at Microfilmmaker Magazine, November 1, 2010. This service update (version 20.057) improves the stability and performance of Cinema 4D and is highly recommended for all Release 20 users. A complete overview of all improvements contained in Release 20 SP2 can be found in the official improvements list. How to create a scene in Cinema 4D and export an OBJ and Cinema’s camera, import all this in Adobe After Effects so the Cinema render matches Trapcode Form. Learn about using the Foundry Camera Tracker with Maxon Cinema 4D. Tutorial by AETuts+by Alexander Lehnert. Simon Fielder explains how he made the effects in his film DROPLETS, an experimental movie about feelings, using Cinema 4D. In this tutorial, Chris starts from the VERY beginning and very briefly cover a lot of topics. The goal here is that a brand new user can get their feet wet and create a very basic final render that includes some modeling, texturing, lighting, and animation! Based off of the first session of an old Introduction to C4D course he used to teach. RiTutorialsHD uploaded this great freeze tutorial: In this video theyl teach you how to create the effect where water freezes in Realflow and Cinema 4D. By Chris Schmidt at Greyscalegorilla: "In this tutorial, Chris shows you how to use the Falloff Shader to create organic effects on your textures. Follow along to make effects like Snow and Dust on your textures that usually only collect on the top of objects." Check out this excellent studio shot breakdown for creating a whiskey bottle and glass tumbler, using Cinema 4D, by Matt Beckham. Post at Greyscalegorilla: "In this “Tag Team Tutorial”, Chris and I show you how to model and texture a dynamically popping popcorn kernel and get them to behave like real popping popcorn. Just in time for summer blockbuster season." Part 1: Modeling, Dynamics Texturing and Animation / Part 2: Baking, Lighting and Compositing. Post at Motioneers.net: "Here is a video tutorial about Thinking Particles. This time we will go as basic as we can by avoiding presets and instead using the most fundamental nodes the particle system has to offer. We’ll set up an emitter from scratch and then build a simple particle simulation. This tutorial is – once again – not about creating fancy renders, it is meant to teach you the core techniques of Thinking Particles. I hope you learn something." Nick Campbell from GreyscaleGorilla produced several tutorials last week on Getting Started with CINEMA 4D R14 tutorials. In this tutorial, Ridvan Maloku will show you how to Create Button Badges with Maxon CINEMA 4D from scratch. He explains a bit about Loft NURBS, Sweep NURBS, Boole, etc. and preparing the model for animation. In the second part, he shows how to texture the Button Badge, light the scene, create the floor, and set up the HDRI Reflection. He has some nice tips ion how to set up a Studio Light Reflection. Project files are included below, after the videos. Post by Joren Kandel at The Pixel Lab: "David Biederbeck, from beckmotion.com, has been helping me out with converting The Pixel Lab model packs into Videocopilot Element 3D ready packs. ""In this extensive tutorial he’ll go through the entire process of exporting a model from C4D to Element 3D. This includes how to bring in the geometry and also the textures. It’s a bit tricky, but this tutorial should give you a good picture of the workflow." Post by Andrew Kramer/ Video Copilot: "In this tutorial we’ll use a technique called Depth Compositing to combine stock footage with 3D rendering and the use a Z-Depth pass. This method allows you to place 2D elements like stock footage into the depth of a 3D render. I also demonstrate how to export a Z-pass from 3D max, Cinema 4D and even use Element 3D to output a depth channel." Check out this tutorial from AE Templates about creating Object buffers and Depth mattes in CINEMA 4D and using them within AE. Chris and Nick at Greyscalegorilla will show you how to make a Jack-O-Lantern pumpkin scene in Cinema 4D.Chris shows you how to model it using a Loft Nurb, the connect object, a boole for the face cutout, and displacers to make the pumpkin bumpy.In part 2, Nick will show you how to light, texture, and render your pumpkin scene for compositing in After Effects. In this tutorial, Nick Cambpell of Greyscalegorilla will show you how to use the Sound Effector in CINEMA 4D to make a render that animates to music. No keyframes needed. First, he will go over some of the basic settings of the Sound Effector, then we will use what we learned to make a dynamic abstract animation set to any music or sound effect you like. New Keyframe Look For Maxon CINEMA R14: What Are Those New Triangle Icons? Nick Campbell at Greyscalegorilla talks about the new triangle keyframe things in Maxon CINEMA 4D R14. Post at CGtuts+: "Create a cool slow-motion shattering glass animation using Cinema 4D and After Effects. Over the course of this massive lecture, professional artist Cyril Kotecky will teach you the ins and outs of working with dynamics and what goes into creating such a shot. Including the benefits Pre-Viz can have in the early stages as you block out your shot timing and camera positions." Post at CGtuts+: "In part two you’ll get an in-depth lesson on how real-world cameras work. Cyril provides detailed insight on working with focal length, aperture, depth of field and motion blur and how these principles and settings apply to your Cg cameras. Then it’s back to Cinema 4D where you’ll learn how to block out shot timing, and find the best camera positions for the animation by running through a detailed pre-visualization process." Post at CGtuts+: "Today’s lesson is all about prepping for rendering. You’ll start by finalizing the animation with some slight tweaks to the timing. Once done you’ll move onto the material setup and learn how to create realistic glass and metal shaders using Cinema 4D’s intuitive material editor. Finally, Cyril will walk you through lighting the scene. This lesson includes building a dynamic light rig using XPresso and fine tuning it’s position to generate correct caustics at render time." Post by Nick Campbell/ Greyscalegorilla: "In this two part tutorial, Chris and I show you how to model, texture, light, render, and composite this 3D Scene. First, Chris will show you how to model the coffee pot using some traditional modeling techniques and loft nurbs. In the second video below, I will take over where chris left and show you how to light the scene using HDRI Studio Pack. Then I will tweak some textures and render using the Physical Renderer. Finally, we will head in to Photoshop and do a bit of final color correction and compositing." Post by Nick Campbell / Greyscalegorilla: "In This Tutorial, I will show you how to get brighter, more natural lighting in Cinema 4D using a few different techniques including, Linear Workflow, Gamma, Color Mapping, and HDRI Bounces. Try these techniques to help make renders less contrasty and give your lighting a more real-to-life look." Post by Rob Redman/ Pariah Studios. How to destroy object in Cinema 4D without plug-ins or external tools. Posted by Peder Norrby. Tutorial showing how to create a scene in Cinema 4D and export an OBJ and Cinema’s camera. And import all this in Adobe After Effects so the Cinema render perfectly matches Trapcode Form. By VinhSon Nguyen at Creative Dojo. "In this in-depth tutorial, we’re going to explore how to quickly create a motion graphics style mountain titles using primarily After Effects and some Cinema 4D. We’re going to cover all sorts of things, from creating a basic landscape, to creating camera rigs and incorporating 3D elements within our scene. This is one of the longer tutorials I’ve done which was a rough run through, so I hope you’ll take your time and tweak it to perfection!" Post by Stefan Surmabojov at CGtuts+ : “In this tutorial we are going to create a Valentine’s Day themed animation in Cinema 4D and After Effects.... Use particles and forces in Cinema 4D, as well as MoDynamics and Effectors to put everything together to create our final animation. Finally we’ll add materials, light and render the scene before finishing it up in After Effects with some compositing and post effects." Post by Chris Schmidt at Greyscalegorilla: "In this two part tutorial, we show you how to model, rig, animate, light and render this Pin Sculpture Toy in Cinema 4D. Follow along as Chris shows you how to build the model and set up the Mograph and Shader Effectors to drive the pins using a depth pass. Then, in part 2, I will show you how to animate the pins using a video depth pass. Finally, we will light, texture, and render the sculpture for output to your compositing program." In this quick tutorial, Chris shows you how to add some effectors to City Kit so you can focus in on just a few buildings, and then zoom around the city. A similar effect was used to make part of Iron Man’s heads up display. Keep an eye out in the future for a follow up where we push this effect even further! In this tutorial, Nick Campbell shows you how to stick a texture to your dynamic objects so that when they fall to their resting place, their combined textures make an image. By Harry Frank: "CInema 4D has a couple ways of baking textures for your objects and this is one of them." In today’s tutorial, new Cgtuts+ author Mario Brajdic will introduce you to working with displacement and deformers in Cinema 4D and show you how this powerful combination can be used in conjunction with custom materials, lighting, and post effects to create some truly unique and visually stunning results. Yader posted a short and time saving tip for quickly setting up an override material in C4D. He says: All you have to do is to select one Texture Tag, go to the Filter Manager, select all. Textures with a double click on the Texture Icon and then keyframe your Texture Tag slots, that's it Hope this will come in handy. This works without any third party plug-ins and also with 3rd party render engines like VRay. Nick at Greyscalegorilla has put together a quickstart guide to Maxon Cineware and Cinema 4D Lite, now shipping with Adobe After Effects CC. In this tutorial, Nick Campbell of Greyscalegorilla shows how to set up a depth pass for rendering depth of field for 3D objects using CINEMA 4D, Frischluft Lens Care and After Effects. We’re going to be looking at the animation style of “The Great Gatsby”. We’ll make this title style using Cinema 4d for the modeling of the logo and After Effects for the final composite. The real core of this tutorial is how to get the logo from a 2d drawing to a complex 3d model. Once you know the secrets of how to get the logo with all its molding, the remaining design of the background come naturally. In this tutorial we will be taking a look at “connect objects” as well as “point selection tags” with in Cinema 4D. These awesome tools will give us the ability to create a trampoline with dynamics. Post at Motion Squared: "In this short tutorial, we take a look at how to create a cloth unroll effect /animation using the cloth dynamics tag in Cinema 4D. Enjoy!" Cinema 4D to Realflow and Back! 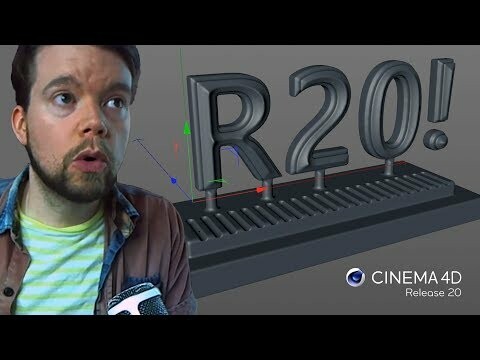 In this quick tutorial Chris Martin from www.freefxtutorials.com shows you the basics of getting your Cinema 4D scene data into Realflow for simulation and then back into Cinema for final rendering. In this tutorial Chris from www.freefxtutorials.com shows you how to model a coffee cup using the loft nurbs generator. Tutorial by Joren Kandel/ The Pixel Lab. "In this tutorial I'll show you how to have pixel shards slowly bleeding off of an object. The effect will be made using Cinema 4D PolyFx." By Joren Kandel at the Pixel Lab: In this Cinema 4D tutorial I'll show you how to use the free plugin called RayConnector. It's a really cool plugin to easily make plexus style organic lines using particles. Make sure to watch their full demo video for even more ideas on how to use the plugin. Post by Nick Campbell / Greyscalegorilla: "An expensive new computer may make your renders 2-8X faster. But learn how to optimize your scene, and it can speed up your renders 10-100X. In this video, I show you some ways to optimize your scene in Cinema 4D for faster rendering so you can hit that deadline and still make it look great." I watched John Dickinson’s fantastic presentation at After Effects World in Seattle a few weeks ago in which he walked us through creating the flag in the Olympus Has Fallen promo. At Half Rez 2013 in Chicago, Chris Schmidt of Greyscalegorilla presented a rapid fire series of tutorials, tips, and tricks for Cinema 4D. Covering everything from shader options, previewing hair instantly, spring tricks, and secret checkboxes to make your Sketch & Toon scenes render properly, this video covers it all! Joren Kandel of the Pixel Lab is back with another timesaving C4D quick tip. "In this quick C4D tutorial I’ll show you how to quickly cut between cameras in Cinema 4D with the Stage Object. It’s an easy technique usually overlooked by beginners and could save you tons of render time." Post by Ben Watts: "In this beginner's tutorial we'll create a business card template in Photoshop which will serve well for our card stack. After that we'll create the stack in Cinema 4D using basic mograph effector techniques, then finally we'll render with the physical renderer utilizing depth of field. The free project file is available here: benwattsdesign.com/portfolio/tutorial-13-business-card-stack/ "
Cinema 4D Tutorial - Space Lighting - Part 1 - Modeling. Part 1 of 3 of the space lighting series. I go over one of the most overlooked aspects of lighting, which would be modeling. Without proper modeling, even the best lighting wont help. Part 2 of 3 part series by Shepperd Oneill. Part 2 of 3 of the space lighting series deals with textures and basic lights. Post at Greyscalegorilla. "In this tutorial, we will make a short title sequence in Cinema 4D using metaballs and dynamics. Then, we will light the scene using HDRI Studio Pack. Finally, we will use the new global illumination settings in R15 to render animation without flicker or noise." VinhSon Nguyen shows a cool, basic technique that you can use to create unique and interesting forms for titles, background elements and more. Tim Clapham at HelloLuxx has a new tutorial on making waxy looking elements with metaball typography in CINEMA 4D with lights and shaders. Yader (aka Derya Öztürk) explains how to get a ChronoSculpt like workflow in CINEMA 4D. Very clever! LightWave ChronoSculpt from NewTek is a new standalone product that "revolutionizes working with animation and dynamic simulation cache files from any application by allowing you to use sculpting and transformation tools over time. ChronoSculpt also introduces a radical new geometry engine based on our 'Hydra' technology which allows the deformation and manipulation of 8 to 10 million polygon objects with ease. "Yader gives a short demo on how you can bring this type of feature into CINEMA 4D using the Rate option on the Matrix Object and the Morph Motion Effect on the Inheritance Object. There's more to it but you'll have to watch the tutorial! In this tutorial, Sam Welker shows the Brush Tool in CINEMA 4D R13. Sam explains, "This tool is incredibly useful for quick modeling and should work as far back as at least R12. This is not sculpting and will not work with huge poly counts nearly as well as sculpting does however it is a little similar in usage and quite the tool you should all be using." Ben Watts has a new tutorial that shows how to make a chiseled bevel in CINEMA 4D on a complex letter. He covers a quick VRAY render setup too. Track a 3D object into live footage. Mike Griggs at Creative Bloq talks about working with a virtual camera between After Effects and Cinema 4D. Need to make some stunningly beautiful 3D business cards? Let Chris Schmidt of Greyscalegorilla show you just how to do that! The talented Chris Schmidt has provided a great tutorial on how to create a fun sketchy, painterly style cityscape using MAXON CINEMA 4D. Post at Lesterbanks: "Tyler Jordan offers a look at getting started with camera mapping and camera projection techniques in Cinema 4D. Jordan shows his workflow that involves taking a couple of photographs and setting them up so you can move through them in 3D space in C4D." - Plus, a resource/ guide for additional cameramapping resources. Douwe shares his new simple MoGraph Python Effector script, as well as a tutorial on how to use the script. This tutorial will teach you how to create ink drop like fluid effects using X-Particles for CINEMA 4D 4D. SioPio walks through using standard C4D tools to easily cheat a flocking simulation that can be used in many situations. Ben Watts of Ben Watts Design shows how to make some icky viscous liquid using X-Particles and CINEMA 4D. EJ Hassenfranz explains how to skip Photoshop and use the Spline Shader and text (or any spline shape!) as a 2D resolution independent material. He goes deeper, explaining how to use a bump or displacement channels of a material for embossed or stamped metal looks. Joren from The Pixel Lab shows the workflow of working with footage tracked with The Foundry’s CAMERATRACKER in After Effects and then bringing that footage into MAXON CINEMA 4D. Not only did Mike Batchelor teach me how to create a beautiful particle animation with X-Particles for CINEMA 4D by using fluid created with Jawset Turbulence FD to drive their motion, but I learned what the word ‘advection’ means! The screaming fast emitter in X-Particles allows for an unbelievable maximum particle count of 1 billion particles! Some of the features are covered in tutorials below are:fluid simulation with wet map generationmultiphysics constraintscollision engineMike Batchelor of slouchcorp.com is an expert in X-Particles so you'll be seeing his name here a lot. He does tutorials on his own and for INSYDIUM LTD, the maker of X-Particles. He put together six basic quick start guides on some of the X-Particles features to get you started with X-Particles. Here's a look at the new fluids system in v2.5 of X-Particles and how they use the core SPH fluids. Mike Batchelor's quick start guide to the Skinner. The skinner features a powerful mesher object that can use several particle sources: X-Particles, standard CINEMA 4D emitter, Thinking Particles. It can also use scene objects, completely replacing the CINEMA 4D metaball, to work in conjunction with the fluid system. Mike Batchelor shows how to create a corroded look in CINEMA 4D, using features in the X-Particles Emmitter, Skinner and Cache Object features. The Fragmenter has the ability to turn any objects faces or objects into controllable particles. Mike Batchelor uses the X-Particles Fragmentor Object to create peeling effects. FxChannelHouse shows how to create a twistedly fun effect with X-Particles. Ben Watts turns text into sand in CINEMA 4D. Mike Batchelor takes a look at the constraints (multi physics) and the SPH fluids in X-Particles. Mike Batchelor shows how to create a Nebula structures. He does a great job explaining features of the X-Particles rendering and materials. X-Particles 2.5 is used to generate procedural growth structures to create organic forms. Mike Batchelor shows a couple of ways to create motion blur using X-Particles default material and objects. Mike Batchelor explains how to use X-Particles constraints and deformer to create a bouncing, bending motion. It's not true dynamics, hence the name. He uses dynamic springs with constraints and collisions to achieve the effect. Mike Batchelor explains how to create a tornado rig with X-Particles. Josh Johnson from VFXDaily.com makes explosions in CINEMA 4D using X-Particles to drive the Turbulence FD Fluids. Lester Banks always serves up fine content on his blog and here's another via Lester. We first linked to this one in February 2014, but here it is again if you missed it. Mattias Peresini shows how to use X-Particles for CINEMA 4D to quickly create parametric splash and trails, with homage to the classic look of 2D cell animation. The tutorial is in English and French. Nick Campbell of Greyscalegorilla released a new tutorial yesterday that explains how to fill an object with clones without having them intersect. Nick also shows how to color your clones by using a plain effector. This tutorial touches on dynamics, lighting, mograph, rendering and texturing. When Nick Campbell posts a tutorial then you know it’s bound to be gold. Check this one out that discusses different focal lengths and their primary uses! Some C4D knowledge coming your way for Tutorial Tuesday! IcedUpGFX shows you how to make a sci-fi snail shell type of sphere in CINEMA 4D. This effect could be great in a logo animation or an an abstract background. Konstantin Magnus will teach you how to use Subdivision Modeling Techniques in MAXON CINEMA 4D to create an attractive Armchair! Ben Watts has a new tutorial up showing how to create an otherworldly rocky terrain in CINEMA 4D and After Effects. Ben says, "In this tutorial we'll build up a displaced surface using layered noise maps. After that we'll create a wet looking surface & water shader for the deep section. Finally we'll take care of some basic lighting & colour correction in After Effects." Did you know the Area Light in Cinema 4D has it’s own built in softbox? Learn about it in this tutorial from Eyedesyn. Cinema 4D Release 16 places a greater emphasis than ever before on visual effects and realism, with key features like Motion Tracking and multi-layered reflections. Here’s a wonderful collection of tutorials for all the great new features. RealFlow Expert Thomas Schlick give us a detailed description on how to use RealFlow with CINEMA 4D. You will learn:The difference between the connectivity plugins and the RFRKBasic import features & file formats of the connectivity pluginsHow to export point level animationThe new RealFlow MeltMaterialConnecting RealFlow particles wtih PyroClusterThe Basic RFRK workflowMeshing in Cinema 4DWork with vertex mapsImporting particle dataAnd more! Nick from Greyscalegorilla has a useful script to help you properly light a scene with the Reflectance Channel and his GI Area Light Script. Chris Schmidt from Greyscale Gorilla, was inspired by some gorgeous renders by Lee Griggs, and attempted to recreate rolling hills of geometry in C4D. He didn't want to use MoGraph clones as the shear number needed would be overwelming. So he set out to create a more procedural technique and came up with using the Hair Module. Learn how to make water drops with splash ripples using C4D. No additional 3rd party plugins required. This tutorial utilizes many tools that can be helpful in creating a variety of different structures. Part 1 covers techniques for making a single volume mesh in the shape of a cluster of crystals or minerals. Part 2 explains several different ways to cut the geometry into 2 pieces, and create and rig a mesh that has proper goo behaviors. Covered topic are joint rigging, mesh deformer, smoothing deformer, and pose morph tag. Part 3 explains how to light, texture and animate for the final render. Ben Watts uses a program from Jawset called Turbulence FD for CINEMA 4D to create a basic, but interesting, particle collision simulation. He also walks viewers through a dynamic lighting setup in CINEMA 4D, goes throgh color grading and talks about some benefits of the 32-bit workflow. Maxon Cineversity offers a detailed tutorial on the reflectance channel and how it works in Cinema 4D. Learn the basic concepts of the Reflectance layers. In this tutorial from the Pixl Blog, you will learn how to make wireframes of your objects using the Proximal Shader. Ryan Snider of TangleWire.tv, shows you his customized compositing render pass that will allow you to make targeted color corrections, and changes to your C4D renders in Adobe After Effects. Learn how important compositing is for your 3D renders, as every shot needs color correction and/or compositing, in this tutorial from Greyscalegorilla. Learn how to model smarter using the quantize function in MAXON Cinema 4D. This C4D Quick tip with Mustapha Fersaoui demonstrates the use of the Solid To Liquid Tool, showing how it can be employed using different parameters. Learn how to emit particles from a shape - without third party plug-in or TP in Maxon Cinema4D. Learn how to model, texture and light a realistic flower for a close up. Nate Vander Plas takes you step by step through the process using the Cloner. 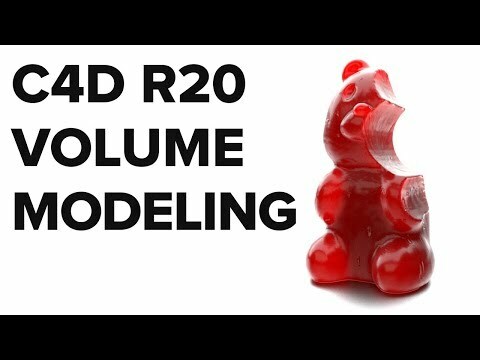 iDani shares a great tip for creating the indents on a strawberry model that won't slow your computer down. Learn the basics of character rigging in Cinema 4D beginning with understanding how C4D calculates hierarchal orders and how this can help with rigging. Orestis Konstantinidis created this highly detailed tutorial on the basics of character rigging in C4D. It's a great starting point for the beginning rigger. helloluxx offers up this tutorial on how to simulate soft bodies using X-Particles 3 in Cinema 4D. Our friends over at the Pixel Lab have been busy creating this modeling process video. There's no VO, so just watch the process and pick up tips and maybe learn a different way to do something. Learn how to create and animate dendrites, or neuron like cels using X-Particles in Cinema 4D. Learn how to use the Mograph Shaders in C4D with Octane Render to achieve the look you want. Learn the basics of lighting and how it can help you when lighting a scene in Cinema 4D. In this presentation from Siggraph 2015, Chris Schmidt presents this tutorial on Advanced and Unusual ways of using C4D’s HAIR. This tutorial covers the process of modeling, texturing and rendering an aquarium scene inside of Cinema 4D. Jump into Cinema 4D and easily create a look that is similar to the plugin Plexus for Adobe After Effects. In this AskGSG Jake Vardaman asks us how to make this cool Sci-Fi fire look by Raoul Paulet using C4D. Here are 3 different tutorials utilizing X-Particle in Cinema 4D. Learn to create custom geometry, a smoke flower, and how Arnold works with X-Particles in C4D. Konstantin Magnus shows you how to use Cinema 4Ds physical render engine to quickly model and setup flowers and some basic grass for a macro shot. Learn the basics of using 3D sound in Cinema 4D. Looking for a little help with Maxon Cinema 4D Deformers? Look no further! Here is a round up of tutorials that should help you with Maxon Cinema 4D’s Sketch and Toon module! In an episode of AskGSG, Nick and Chris were asked to create a flapping wing rig in Cinema 4D. See how they did it. If you’re doing a lot of production work, a render farm will save you so much time and stress under tight deadlines. If you’ve been thinking about it, here are sone resources that may help you set up a great system for your 3D or video rendering. This article does not intend to explain how to set up a render farm but serves as an informational resource about plug-ins and software. In this tutorial Kevin Snyder will teach you how to map DEM Data in Cinema 4D. The Pixel Lab offers this quick tip on creating camera animations with just a couple of clicks. No Keyframes needed. Thomas Andrease explains the integration and workflow of RealFlow and Cinema 4D, at IBC 2015. In this 4 part tutorial, Klaus Heyne, of Heyne Multimedia, explains how to create a vehicle crash test using the DRIVE plug-in in C4D. The newest release of C4D brought many new and intuitive updates to the spline tool and this tutorial will help you become more familiar with them. In this tutorial from HeyPresto2010, you will learn how to create any type of screw or bolt using Oliver Vogel’s free plug-in. MAXON Cineversity offers an entire series on quick tips for the newest release of C4D. Burning Question: How do I Make Grass in CINEMA 4D? The Hair Module makes lovely grass in CINEMA 4D and here are some resources to help you make a lush lawn or field of waving grains. Includes lots of tutorials and freebies! Burning Question: How do I create a Walk Cycle? If you’re animating some characters and need to make a natural looking walk cycle quickly and easily, do we have some great resources for you! Here is some reference, tutorials and scripts to make your next walk cycle animation a breeze. Learn Cinema 4D along with Michele! In the latest episode of Michele Learns CINEMA 4D, Michele Yamazaki of Toolfarm talks about the CV-ArtSmart plug-in from Cineversity, and then goes into a full tutorial about creating sand dunes like you might see along Lake Michigan, complete with dune grass made with hair. Rob Redman offers his quick tip #3, in his How to Model Smarter series, covering duplicates. The Pixel Lab tipped us off to these awesome quick tips for Maxon Cinema 4D. Have you ever had problems with something not showing up behind transparent items in your renders. This quick Cinema4D tutorial might help you out. It’s about Ambient Occlusion and Evaluate Transparency. After a long hiatus, Michele is back with episode 4 of Michele Learns CINEMA 4D. Play along and learn the software with me! This is supposed to be a basic introduction of how to render X-Particles in Octane for Cinema 4D. In this Tutorial, Patrick Goski and Nick Campbell answer a question from Brett Morris during AskGSG about how to make a jelly fish scene similar to this great render by James Gardner-Pickett. This Cinema 4D Tutorial is packed with tips and tricks by Simon Spencer-Harvey. Follow along in this great tutorial from helloluxx and you will learn how to make all sorts of beautiful new type in Cinema 4D! If you don’t have much experience with Maxon Cinema 4D’s Bezier Plane Object then follow along with tutorial and see how it can lend a hand! If you did not spend the last 30 years on a uncharted island, you probably heard about this thing called Star Wars. A couple days ago the 7th episode came out and introduced to us BB-8, a new spherical droid. In this holiday-themed tutorial, learn to create a 3D ribbon tree animation in Cinema 4D. Need a better workflow for sending projects and files from Maxon Cinema 4D to Video Copilot Element 3D? We know, there are a lot of numbers and fancy words in that sentence but the process itself, as it turns out, is not that difficult! Learn how to recreate the popular cel animation style paint stroke/splash effect you see in a lot of 2D animations using Cinema 4D without third party plug-ins. Nate Vander Plas makes a fun effect that looks like a color blindness test. In this Ask GSG, “mariobuendia108″ asks how to create an abstract drippy effect like in this great render from Beeple. Learn how to create a realistic looking skin shader with Octane Render in Cinema 4D. This week's Tutorial Tuesday focuses on training for CINEMA 4D. In this tutorial, Mt. Mograph’s Matt Jylkka creates a flat, 2D-style 3D animation using CINEMA 4D and After Effects. A lot of people don’t know that you can import .c4d files into Adobe Photoshop and use them in a 3D environment. This can come in handy if you need to change textures for print campaigns etc. The good folks over at Greyscalegorilla were kind enough to put together a large resource page for all of your Maxon Cinema 4D and Motion Graphics needs! Learn how to setup cameras for 360° renderings in Cinema 4D, with Konstantin Magnus. In this tutorial, you’ll learn how to use MochaBlend C4D to turn a perspective track in mocha into an object solve in C4D. You’ll learn the best way to track a plane in mocha for MochaBlend’s Perspective-Solver, and how to identify some common problems when working with the solver. EJ Hassenfranz from Eyedesyn live streamed these tutorials, giving us a closer look into his thought process and workflow while modeling a little bull character in Cinema 4D. In this tutorial by Brandon Clements, we’ll understand the basic principles and fundamentals of studio lighting in Octane Render for Cinema 4D. If you’ve had a chance to check out our NAB Survival Video, you should! It’s lots of fun. I dove back into Cinema 4D to create the NAB Survival Video Open. Ever wanted to create a handheld camera move to your animation in MAXON Cinema 4D? Joren Kandel from the Pixel Lab figured out a simple way to get a great looking handheld move using motion tracker in C4D. 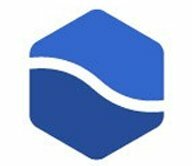 Do you know After Effects but want to learn 3D? This new, FREE Cineverstiy tutorial teaches After Effects artists the basics of Cinema 4D Lite so they too can add 3D elements to their compositions. In this tutorial, I’m going to show you how you can find a very handy use for the often ignored Cinema 4D Mospline object. Using a fairly procedural technique you can create bridges, cracked ice, and stonework in C4D. How you ask? Chris from Greyscalegorilla explains it all. Burning Question: What can I do with the Hair Renderer in Cinema 4D? The Hair Module.... can it do more than just make hair? Oh, there are lots of things! Make a tree, grass, and much more! Lots of fun stuff! Want your 3D renders to have that polished finish? Nick Campbell walks us through 3 basic color correction tools and shows how some subtle tweaks with can improve your 3D scenes. Maxon’s BodyPaint is a tool that allows users to create beautiful sculptures for 3D work. It contains several UV Tools that are made for lining up your models and your materials. There are brushes, selection tools, filters, erasers, and projection painting, which allows for perfect fit of UVs. Learn how to roundtrip your HDRI’s from C4D to Photoshop for editing, and back again, in this tutorial from The Pixel Lab. If you apply a glass material to an enclosed object, you will see a lot of refraction, making the object look like it’s a solid mass of glass, like a bowling ball or paper weight. Noah Witchell shows you how to create the look of thin, delicate glass, the type you might see on a light bulb or nice wine glass. Lynda.com has a free episode of their Creating Materials in CINEMA 4D course. This is tutorial #2 on the page, so scroll down! Pete Maric, triplet3d.com shows how to model a pitcher with spline and lathe NURBS, editing the points to create the top lip. He uses the Explosion FX deformer to add thickness to the walls of the pitcher then explains how to model the handle of the pitcher using sweep NURBS and scale curves. This is tutorial #3 on the page, so scroll down to watch. Noah Witchell has a tutorial on making a fiery explosion using the FLIP Solver, which is built into X-Particles. Greyscalegorilla breaks down all their favorite new features of Cinema 4D R18 including Voronoi Fracture, the Push Apart Effector, New Mograph Features, more. Tim from Helloluxx shows us several tricks for optimizing Cinema 4D Projects, from speeding up render times to increasing editor playback. Ignace Aleya from Tolerated Cinematics takes you through the steps to create a pretty cool looking 3D Pokémon title using both Adobe After Effects and MAXON Cinema 4D. With the upcoming September release of MAXON C4D R18, we wanted to know more about all the new features and figured you did too. From Voronoi fracture & mograph enhancements, to new shaders and tools, C4D R18 had tons of new additions to unlock your 3D creativity. Dennis Wei explains some of the techniques he used to create an X-Wing Hologram animation using Cinema 4D and After Effects, using the awesome free X-Wing model from videocopilot.net. The Pixel Lab has a short overview of some of the updates to the Cinema 4D Cloner object in R18. Wondering if your plug-ins, renderer, or other add-ons are compatible with R18? We will keep this page updated with new information as we receive it. Michele shows you how she created a brain in Cinema 4D, starting with a sphere object, then uses the sculpting tools to modify the shape add brain texture. Michele Learns Cinema 4D: Episode 1: WOEIMD? Join Michele Yamazaki of Toolfarm on her journey of learning Maxon Cinema 4D. Episode 1: What on Earth is Michele doing? will give an overview of the project she’s taking on for the next 2 months. Michele talks about getting started with Cineversity, 1on1 Training with a Maxon Trainer, setting up a Wacom tablet and the Help Menus. Michele Yamazaki of Toolfarm continues her journey learning Maxon Cinema 4D, this time focusing on the plug-ins for After Effects that connect the two programs. She also talks about more resources for getting started with Cinema 4D, downloading models at TurboSquid and the Content Browser within Cinema 4D, which can help new users get going. If you’ve had a chance to check out our NAB Survival Video, you should! It’s lots of fun. I dove back into Cinema 4D to create the open animation. Here’s how I did it. Steven Emerson from Next Limit shows you how to create a scene with water flowing through plumbing using CINEMA 4D and the new RealFlow for C4D. Pryce Duncalf has a silent tip video showing how to use Dynamic IK to move a group of tentacles in Cinema 4d. Joren from the Pixel Lab has a couple of quick tips to help you set up your C4D scenes so you can get a more realistic composite in AE. No one is a bigger fan of Tim Burton’s films than my daughter, and who can blame her! His work is dark, wacky, beautifully detailed, and always unique. There’s no better time to celebrate Tim Burton’s work than Halloween and here are a couple of tutorials to inspire you. Pete Maric, founder of Triplet 3D, offers a step by step guide to creating a Tim Burton inspired poster. Topics covered: concept development, 3D modeling, lighting, rendering, and post-production. Learn how to take an Atom Array, A Mograph Cloner and Depth of field to create a simple yet beautiful looking C4D Scene. Demons are rising, ghosts are haunting and blood is flowing with these Halloween themed tutorials that we have collected to help take the horror out of making frightening creations. Updated: October 25, 2016. Check out this very cool tutorial on creating a stylized wind effect in CINEMA 4D, using MoSpline (Studio and Broadcast). Thanks to Chris Schmidt at Greyscalegorilla for sharing this unique effect! The Pixel Lab has some more great tips for Maxon Cinema 4D! Joren shares a couple of his favorite workflow efficiency tips. EJ Hassenfratz shows you how to model, texture & animate googly eyes quickly and easily using Dynamics in Cinema 4D! Here are two tutorials about generating and working with displacement maps in Maxon Cinema 4D. EJ Hassenfratz shows you how to create a bouncy cursive logo animation in C4D using the jiggle deformer and how to integrate it into 2D workflows. Learn 5 ways to speed up your Ambient Occlusion rendering in Cinema 4D from EJ Hassenfratz at eyedesyn. I’ve joined the Greyscalegorilla Cinema 4D Animation Fundamentals and our first assignment was the Squash & Stretch Deformer. There will be more later on the training, but this is a peek at the first assignment. Aleksey Voznesenski shows you how to model a gingerbread man in Cinema 4D in this 2 part tutorial from Tuts+. Dennis Wei shows you how to make a very cool particle trail using Plexus, C4D, After Effects and a few other things, like Trapcode Particular and Optical Flares. A free blueberry model that looks good enough to eat and a C4D Quick Tip on the Push Apart Effector from The Pixel Lab. What could be better? EJ Hassenfranz from Eyedesyn teaches us about the brand new Cinema 4D renderer included in After Effects CC 2017 & how to create a cel shaded 3D object. The Reset PSR Button is hidden by default but this button makes it super easy to quickly reset any item’s position to zero. If you ever have a problem with nulls misbehaving when you bring a project form C4D into AE, Joren at The Pixel Lab has a workaround that might help. Nick Campbell from Greyscalegorilla show you how to use Team Render in Cinema 4D to utilize some of your old computers (or even newer ones) to create a render farm and vastly speed up your renders. Daniel Mozbäuchel shows you how to make a strawberry in Cinema 4D. Chad Ashley from Greyscalegorilla talks about the Take System in Cinema 4D and how it can help with workflow. Learn how to generate realistic wood grain textures from scratch in After Effects with this tutorial from Joshua Cam Smith. EJ Hassenfranz of Eyedesyn explains how he modeled, rigged, and textured a cute little candy heart in Cinema 4D. EJ has made a lot of tutorials about character animation, so you'll see a lot of his stuff here today. So, thank you to EJ for being a great teacher and for being so willing to share his knowledge! EJ shows you how to create a walk cycle for this super cute lemon character in Cinema 4D, with an introduction to Spline IK. This is a webinar with Jonas Pilz where he explains how to animate a shark. The shark model can be found on Turbo Squid. The Pose Morph Tag is a fun and easy way to animate between poses. Here are three tutorials on the Pose Morph Tag, plus three that we’ve previously shared. EJ at Eyedesyn gives a quick introduction to using Soft Body Dynamics and how to loop soft body dynamics to make an inflated rubber spheres GIF! Joren of The Pixel Lab has some great tips on using the Soft Body Dynamics Feature in Cinema 4D. He talks about some problems he has encountered and how to get around them. He goes into "how to make and use a cage with the Mesh Deformer, and how to use Vertex Maps to refine your soft body animation." Joren uses The Pixel Lab Industrial Pack 2 in this tutorial, which is a HUGE pack with over 20 industrial models, 10 C4D Terrain Shaders, 5 Complete 3D Scenes, 30 Industrial Textures, 24 HDRIs and a Studio set! I really hope this pack will be helpful to you! Nick Campbell of Greyscalegorilla shows you how to make a low-poly mesh that affects a high-poly dynamic object with the mesh deformer. Basically, make anything bouncy and stretchy. EJ at Eyedesyn shows you how to make Silly String with an often overlooked feature in Soft Body Dynamics, "Made of Clones". This one is brand new as of today! Fresh! Right now we have a great 3-day sale happening on X-Particles so we thought it would be a great time to give you a tutorial. This one was new yesterday and comes from Greyscalegorilla. Chris Schmidt from Greyscalegorilla teaches you the most important settings for soft body dynamics in Cinema 4D, so you can quickly and intuitively create whatever consistency you want on your objects. Joren Kandel from the Pixel Lab recently found a “secret” book generator hidden inside of Cinema 4D that many people might not know is there. Watch his tutorial to learn where to find and how to use this rig. Nick Campbell from Greyscalegorilla explains the features of Voronoi Fracture in Cinema 4D. Featured in C4D Spotlight: Voronoi Diagrams in Cinema 4D. From Rob Redman, Cinema 4D R18 has been announced but there's a while to wait before you can get your hands on it, so why not have a little look at what is on the way? Learn how to make a Shatter animation using Fracture Voronoi. ***** Learn how Transform can help you Animate With No Keyframes in Cinema 4D. Jonas Pilz explains how to adjust the amount of fracturing on clones, depending on the weight. Featured in C4D Spotlight: Voronoi Diagrams in Cinema 4D. Developed by Dominik Ruckli, the VoronoiGenerator is a Python plug-in for Cinema 4D that generates a 2D Voronoi Diagram or a Delaunay Triangulation. Ryan Somerville explains how to create a Voronoi texture in Cinema 4D with the Vectorizer object in Cinema 4D to rasterize the image into a spline objects (like creating outlines in Illustrator). Featured in C4D Spotlight: Voronoi Diagrams in Cinema 4D. EJ from Eyedesyn gives some great tips on compositing your 3D work into After Effects. Joren at The Pixel Lab has tips about tileable bump maps and how to extrude them using the parallax Offset in Cinema 4D. Sam Winter from Digital Meat explains how to use the Flock Modifier plug-in to make particles simulate the flocking of birds or a school of fish. 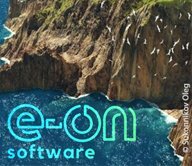 Here’s the forth volume of MAXON’s Rewind Presentations from NAB 2017. This Rewind includes presentations from Nick Campbell, Eran Stern and Al Heck. In this NAB 2017 Rewind, Nick Campbell from Greyscalegorilla goes over 20 different ways to speed up your C4D workflow. Chad Ashley from Greyscalegorilla gives an excellent, in depth, 3-part tutorial on how to make realistic condensation on the outside of a can. David Brodeur, for Greyscalegorilla, explains how to make realistic wet roads and puddles in Cinema 4D using Octane Mix Materials along with high res textures. EJ Hassenfratz shared his tutorial on the Greyscalegorilla website, where he explains how to make some cool time based animation effects with the Time Effector in Cinema 4D. The human body is still such an enigma and there are so many technical, yet beautiful, 2D and 3D animations that help to visualize those microscopic mysteries. We had a question about some methods of creating cells and other microscopic elements. First, we have some gorgeous examples to inspire you, followed by a few tutorials for various host applications. Nick Campbell explains how to create some cells with Cinema 4D and X-Particles. Scroll down the page to tutorials section. Motionsquared has a breat tutorial on creating brain cells in Cinema 4D. I used this tutorial in a project last year. Super useful tutorial. Scroll to the end of the page for the tutorials. This Cloned Object topic was something I learned early on in Cinema 4D to add different materials on different clones. Megamonkeys shows you how. Chris Schmidt tackles some of the best and most useful tricks for Cinema 4D. In the end, you'll want to write these down. In this tutorial, Chris Schmidt from Greyscalegorilla takes you through the new Voronoi Fracture features in Cinema 4D R19. With all the different renderers out there, it’s sometimes difficult to determine which is the best for you and your needs. Chad Ashley from Greyscalegorilla has a breakdown of the pro’s and cons of some of the renders GSG recommends. Read an excerpt here and follow the link to the full article. Toby Pitman from Motion Works explains an easier way of visualizing the modeling process when creating pipes and rails other than using splines. He creates a 3D object first and then takes the edges of the object to create the pipes. See how it works in this tutorial. The new Multiphysics solver includes Granular, Viscous, Viscoelastic, Rigid, and Elastic. Today’s tutorial is about Elastic. EJ Hassenfratz from eyedesyn animates a simple sushi character in Cinema 4D. He uses Pose Morph to animate the face and then adds some secondary animation to make it more dynamic. As usual, EJ’s characters are beyond cute! Matt Umney from Maxon shows how to make a mirrored disco ball with Cinema 4D, using caustics for the light reflections. EJ Hassenfratz from eyedesyn.com gives a presentation on how he created and animated octopus character used in a recent Cineversity.com advertisement. Featured in Tutorials: Maxon’s Rewind Presentations from Siggraph 2017, Part 1. Eric Smit, master Cinema 4D artist from the MAXON headquarters in Germany, visits us today to show the best ways to use the Motion Tracker tools inside Cinema 4D for VFX shots. In this presentation, digital artist Steve Teeple shares how he uses Virtual Reality for faster more expressive modeling and Cinema 4D’s Procedural workflows in order to create new work through a process of experimentation. Part of the Maxon presentations at SIGGRAPH 2017. In this live presentation from Siggraph 2017, Mitch Myers shows how Octane volumetric effects can help to create cinematic environments. Part of the Maxon Rewind of presentations from SIGGRAPH 2017. EJ Hassenfratz from eyedesyn explains how to use the Shader Effector to make HUD elements. He also explains the difference between the Shader and Random Effectors, the benefits of using the Shader Effector and much more. This step-by-step tutorial by Jonathan Lam is a great way to learn Cinema 4D quickly while creating a character that can be used in video games, graphic design and more. Here’s is part 2 to the C4D Low Poly Wolf tutorial, by Jonathan Lam. Here he shows you how to model the neck, legs and paws, how to add lights and render. FUI, or Fake User Interface, Fantasy User Interfaces, are everywhere from sci-fi films to commercials. Learn how to make your own! Are you making these 5 Animation Mistakes in Cinema 4D? Nick Campbell from Greyscalegorilla talks about some errors that you may be making in Cinema 4D and gives tips on how you can become a better motion designer. The Pixel Lab is giving away a really cool free model of 3 antique Coca-Cola glass bottles designs, created by Rick Ellis. It’s free for personal and/or commercial use. Plus, a Cinema 4D Octane Tutorial: Scatter Object Overview. The Pixel Lab show you how to use the new Thin Film Shader in R18 to make a reflective lens, bubble or anything with an oily sheen, look more realistic. Plus there’s a free 3D model too. We get asked all the time if we think that VR and 360° immersive video is something that is just a novelty or if it is an important technology. Plus, I’ll go over some of the 360° VR tools available for your favorite NLEs, 3D programs, and more to help you get started in VR. Here’s is a quick tutorial, from Zulu8 design studio, on how to project footage and animated textures onto an object in Cinema 4D using Octane Render. Pixego is adesigner who designed adorable little isometric machines. EJ Hassenfratz shares tutorials based on the Pixego mini machines. Chris Schmidt takes you through all the newest features and improvements in C4D R19 Voronoi Fracture. David Gruwier is a 3D Artist at Ghost VFX, and gives a quick tutorial on how to recreate the look of the painterly clouds, found in Platige’s animated film called “paths of Hate,” using C4D. Why not make some yummy Christmas cookies this holiday season? Of course you can’t eat these, but they look delicious, and aren’t that hard to make if you follow this tutorial from Niko Schatz. Animated Icicle Christmas Lights in Cinema 4D! Rory Martin from RateMyFuneral.com explains how to make festive animated icicle lights for your Christmas display! Nick Campbell from Greyscalegorilla shows you a couple of ways to add displacement to your Cinema 4D geometry to add bumpy effects to your models. First he talks about Sub Polygon Displacement, which adds detail at render time. Then, Nick goes over Displacement Deformer which distorts your objects right in the view port. Nick Campbell from Greyscalegorilla gives some great tips on how to make your reflections look real in Cinema 4D. He explains how to speed up your texturing process with the Greyscalegorilla Topcoat plug-in. Chad Ashley from Greyscalegorilla explains how to work faster using HDRI Link with Cinema 4D and Arnold. Who wants to render faster? Everyone!! We’ve covered this topic a bit before but with Team Render for Cinema 4D, you can set up a render farm quickly and easily. Here are a couple of tutorials from Maxon and Greyscalegorilla. Daniel Danielsson is a Freelance Director / Motion Designer who is based in Hertfordshire, which is north of London, England. I'm not sure how much snow and ice they get there, but Daniel has some fantastic Cinema 4D tutorials on creating frost and ice. Burning Question: How Do I Make a Hologram Effect in After Effects? Holograms have been a popular implement in science fiction films for years, from Princess Leia in Star Wars to Joi in Blade Runner 2049. Get this free interior scene project file, so you can follow along with this tutorial on creating a realistic interior render in Cinema 4D. This Cinema 4D Quick Tip with Jonas Pilz explains how to get started using the new Radeon ProRender in Cinema 4D R19. I love space stuff! Here’s a nice collection of free space related items for your space short, epic sci-fi feature, or documentary. Jonas Pilz offers a C4D quick tip on how to light a scenes using only the light from luminous materials. PXL + Dirt Rig for Octane! Joren at The Pixel Lab explains a technique to use displacement, with the PXL + DIRT Rig to add some grunge. This free training course from Michael Balchaitis walks you through the process of how to retopology of a high mesh human head to low poly mesh. You will learn facial topology, the polygon pen tool, and export from Cinema 4d. Plus, it even comes with project files. Want to populate your scenes with animated growing vegetation? This step-by-step tutorial from Rob Redman shows you how, using X-Particles in Cinema 4d. You have so many choices in renderers these days and GPU rendering is a favorite lately. ProRender, and developed by AMD, and is the new Open CL-based GPU/CPU-based rendering engine, now built right into Cinema 4D R19. Here’s everything you need to know to get you started with ProRender. Greyscalegorilla’s Chad Ashley shows a simple way to add stickers or labels using multiple UV channels in one material. David Ariew of arievvisuals.com shows how to make some glass textures with dust, complete with lots of tips and tricks. This tutorial is a must-see if you’re new to or just getting comfy with Octane in Cinema 4D. Jeremy Walker creates Mars with realistic planet texture maps, using Cinema 4D’s native MoGraph Effectors. He animates and composites it in After Effects. Filter Switch Script is a free script to speed up previews of renders in the Cinema 4D Viewport. You’ll need Cinema 4D R19+ to use the script. Joren at The Pixel Lab has a C4D quick tip for creating dramatic, moody lighting using the Octane for C4D Daylight Tag, plus what to do when your HDRI doesn’t show up when using the tag. Speed Up The Cinema 4D Physical Render…. Here’s How! Cut your Physical Render time in half with this time-saving Cinema 4D tutorial. Optimize the Physical Renderer for speed with Reflectance. Nick Campbell from Greyscalegorilla gives you the details. Sean Dove explains how he used custom displacement maps to create realistic shoelaces in Cinema 4D and Photoshop. Chad Ashley at Greyscalegorilla demonstrates how he uses Redshift’s New Custom AOVs to save loads of time in production. Chad breaks down his workflow, where he goes from Redshift in Cinema 4D and then into Blackmagic Design Fusion. Burning Question: How do I Create Glass in Cinema 4D? Glass... One of the first paid projects I had in Cinema 4D was to create glass. Let’s say that I did things the hard way! Here are some tutorials so that you don’t make more work for yourself and tutorials to give you specialized looks with your glass. Dynamic Candle Flame and Flicker go together perfectly. In addition, you’ll be able to utilize the content and knowledge from the tutorial together. In this Cinema 4D Quick Tip with Jonas Pilz, learn 2 methods of putting your text on a spine in Cinema 4D. Jean-Marc Denis show you to use Redshift’s displacement node in Cinema 4D, using terrain maps generated with World Machine, which is free node-based terrain generator for Windows.World Machine is a free windows app that lets you create 3D terrain for your favorite 3D app, Unity, and Unreal Engine. EJ Hassenfranz from eyedesyn teaches you how to create stylized 2D wood textures for use in 3D or After Effects. Yes, Futuristic-Holo-Crystal Effect! BLUE FOX Creation shows you how to use Voronoi fracture and a few effectors to create this cool looking crystal effect. They use Redshift to render but you can use whatever you have in your workflow. A couple of weeks ago we did some features on Cinema 4D and third party renderers that work with Cinema 4D. We continue today with more for Arnold. A couple of weeks ago we did some features on Cinema 4D and third party renderers that work with Cinema 4D. We're continuing today with Arnold and featuring a few useful and fun tutorials. This is the third round of videos from SIGGRAPH 2018, held in August in Vancouver, Canada. Watch the fantastic presentations from Marti Romances, Russ Gautier, and Robyn Haddow, all presenting with Cinema 4D Release 20. Watch the fantastic presentations from GSG-Live: AskGSG LIVE with Greyscalegorilla, Matthäus Niedoba, and Marc Potocnik, all presenting with Cinema 4D R20. This is the second round of videos from SIGGRAPH 2018, held earlier in August in Vancouver, Canada. Watch the fantastic presentations from Tim Clapham, Athanasios Pozantzis, and Orestis Konstantinidis, all presenting with Cinema 4D Release 20. If you’re using Corona Renderer with Cinema 4D or thinking about it, here some tutorials to get you started. We’ve covered Redshift and Octane Render earlier today. Today we’re doing a gathering of tutorials about third-party renderers for Cinema 4D. Enjoy some tutorials about Cinema 4D and Octane Render. Today we’re doing a gathering of tutorials about third-party renderers for Cinema 4D. First up, Redshift! Check out the first round of videos from SIGGRAPH 2018, held last week in Vancouver, Canada. In the first batch, we have Tim Clapham, Nick, Chad, and Chris from Greyscalegorilla, and Josh Johnson showing their motion graphics and Cinema 4D Release 20. We are continuing our series on Cinema 4D and third-party renderers and U-Render is our focus for today. U-Render is still in beta, and we’re very excited about it’s upcoming release. You can try it out now. Here are a few tutorials to get you started. 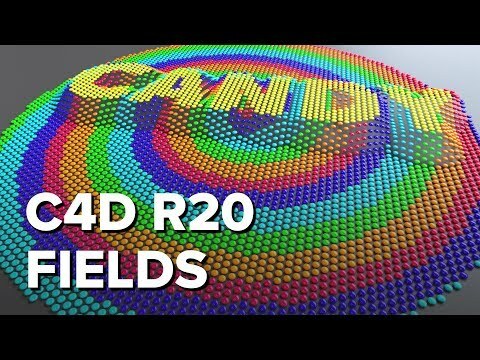 The new Fields system in Cinema 4D R20 completely replaces Falloffs. So, what are they? How do they work? And how is it a better way of working? Maxon’s Jonas Pilz answers these questions with this Quick Tip introduction to the Field system in C4D. This continues our series on Cinema 4D and third-party renderers. At the time of this publishing, U-Render is still in beta but should be available within a month. Download the beta and get up to speed before it is released! This is the sixth round of videos from SIGGRAPH 2018, held in August in Vancouver, Canada. Watch the fantastic presentations from Brandon Parvani, Matthew Encina, and Sekani Solomon, all presenting with Cinema 4D Release 20. This is the fifth round of videos from SIGGRAPH 2018, held in August in Vancouver, Canada. Watch the fantastic presentations from Bhakti Patel, Brett Morris, and Dean Giffin, all presenting with Cinema 4D Release 20. All of the videos are also hosted at Cineversity.com. This is the seventh and final round of videos from SIGGRAPH 2018, held in August in Vancouver, Canada. Watch the fantastic presentations from David Koss and Matt Milstead, David Brodeur, Al Heck and Jon Weinberger, and Aaron Sorenson, all presenting with Cinema 4D Release 20. Joren from The Pixel Lab has a quick tip for you on Cinema 4D’s Reflectance Channel. Below the video, watch a few more tutorials on the Reflectance Channel. EJ from eyedesyn has a fun Cinema 4D tutorial using the Sketch & Toon Hatch Shader, included with Cinema 4D Studio and Visualize, to create some cool image textures procedurally. eyedesyn products are still on sale for Cyber Monday too! Save 25% through tonight, November 27, 2018. EJ from eyedesyn shows the brand new Cinema 4D R20 Fields. Learn some of the most useful features and how to use field layers for complex animations. 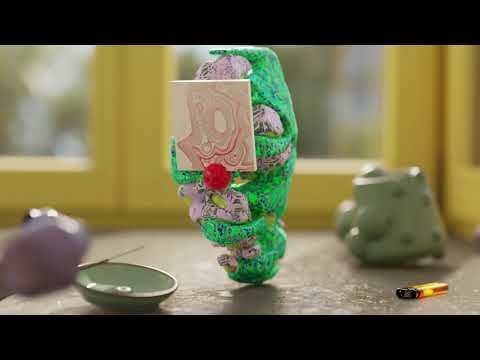 Greyscalegorilla’s Chris Schmidt explains how to make velcro, as seen in an ad for VELCRO® Brand Hook & Loop from Alexa Sirbu and Lukas Vojir. Tim Clapham from helloluxx.com takes you through a series of three tutorials to help demystify the Maxon Cinema 4D Mograph shaders. In this tutorial series, Dave Bergin from CG Shortcuts, goes over the process of creating abstract spheres in Cinema 4D, and the lighting and texturing of those spheres with Octane. It also includes free project files. Instead of giving you a straightforward tutorial on how to make something exactly how it is, we’re doing this one more like a recipe. We’ll give you some ingredients and you use your knowledge and creativity to come up with your own sweet project! In this Cinema 4D Octane tutorial, you'll learn how to texture, assemble, light, and integrate Kitbash3D space colony buildings into a Mars environment. In this 2 part tutorial series, Ilir Beqiri explains how to set up a Rubik’s Cube type puzzle game and a Pyramid puzzle using Xpresso in Cinema 4D. The tutorial is clear and easy to follow. Knowing some Xpresso is a skill that will carry on to many other projects so watch and learn! Three tutorials that each cover working with Redshift Proxies in Cinema 4D, all with a slightly different angle. There’s a lot of information here, so take some notes! If you're snowed in this week, how about hunkering down with A Blizzard of Cinema 4D Tutorials and getting to know the finer points of the program! It'll keep your brain nice and warm! Burning Question: Greeble... What is it and how to make your own. A greeble is really all about faking out your audience! It's the small details that make something appear to be more complex than it actually is. Chad Ashley from Greyscalegorilla was recently inspired by the animated movie, "Spider-Man: Into the Spider-verse" to create an Arnold shader in the same style. In this tutorial, Chad explains the technique use to create the film and then shows you how to re-create that look in Arnold. 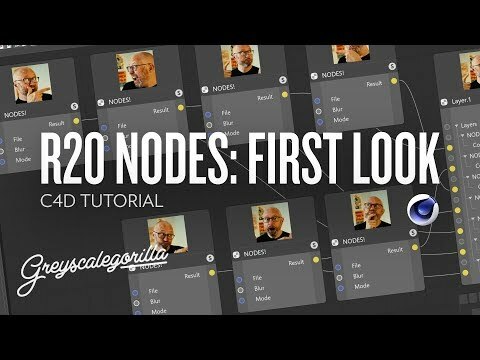 This is a comprehensive, in-depth tutorial on essential nodes within Redshift for Cinema 4D to create any type of complex shader network. Chad Ashley from Greyscalegorilla explains how to get your LUTs with Redshift's Render View in Cinema 4D in this Quick Tip. If you missed the Maxon Cinema 4D NAB 2019 live stream last week or you were at the show, watch it all now! There is loads of inspiring work and lots of great tips on improving your workflow. In this tutorial, EJ from eyedesyn shows you how to use Sketch & Toon in Cinema 4D to create a blueprint style render. And he even tells you the tricks to prevent annoying line flickering in Sketch & Toon renders.